Breast implants have an average life expectancy of 10 to 20 years. However, new options like form stable (“gummy bear”) and structured saline breast implants may last significantly longer. Some women choose to have breast implants removed and/or replaced well before it becomes necessary, due to aesthetic or physical concerns unrelated to the implants themselves. This may include wanting a different implant type or simply desiring a different outcome. Board-certified plastic surgeon Dr. Ravi offers both initial augmentation and implant revision. Call us at 832-937-4036 to schedule a consultation and learn more. If you have saline breast implants, rupture and deflation will be obvious. Silicone breast implants do not deflate as quickly but instead slowly leak in what is known as a “silent rupture.” While typically asymptomatic, silent rupture may produce symptoms including asymmetry, changes in breast tissue sensation, pain or tingling, swelling, and hardening of breast tissue. You may require an MRI to determine if a silicone breast implant has ruptured. 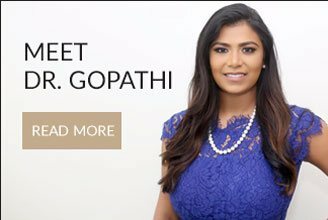 Prior to your breast augmentation procedure, Dr. Ravi will discuss all of your breast implant options, including type, size, shape, and placement, to help ensure your aesthetic desires are being met. By addressing your physical concerns precisely, we can greatly reduce the risk of unbecoming or unwanted results, helping to ensure that, should you choose implant revision, it is not due to dissatisfaction with your initial results. If you are experiencing pain or if noticeable changes have occurred, now is the best time to contact our office for a breast implant revision consultation. You may also wish to call us for breast implant removal and replacement if you are interested in improving your results or if your desires have changed. During your consultation, we will listen carefully to your concerns and make a full assessment of your situation to help us determine the best course of action. You will be directly involved in the decision-making process, giving you ultimate control over options that can impact your final results. Call us at 832-937-4036 to schedule a breast augmentation consultation to learn more. Our office is located in Houston, Texas. We welcome patients from The Woodlands, Katy, Sugar Land, Conroe, Spring, and all surrounding areas.